Super cute, but not for me. 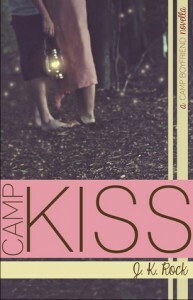 I've been looking for a book where I can relive my own personal camp experiences (I went for most of my childhood well into my teen years), but this one was even younger feeling than I'd hoped for...lots of innocence that I never had, haha. This would be a fun book for younger teens though because it reads closer to middle grade than older YA.